With the changing times, technology is getting more advanced, I wonder if one day each one of could fly to the Jupiter with the wings of technology. Well on the serious note if we look through the previous few years, the advancement is pretty visible in terms of devices and gadgets. Apple has raised the level of technology, one can hardly think how sooner and how more quickly than usual they hit something real unique every time. Apple recently launched Apple iPad Air with exciting features and vigorous outlook. They have certainly left behind other top brands in many ways. It has now become a big status symbol to have an Apple device, iPhone, iPad or its other stuff. I personally love every of its new release not bothering about it cost. Of course Apple never compromises on its quality and maintains its originality in every Apple gadget. 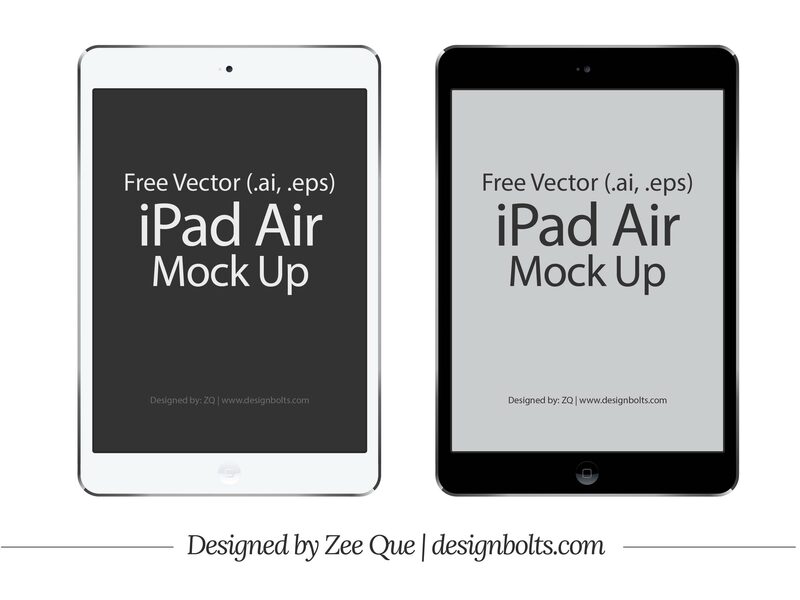 Today I am showcasing free Vector Apple iPad Air mockup in Ai & EPS format which can be used in personal & commercial projects. Apple iPad Air is now a must have. It is having a crisp and elegant look that tarnishes an eye that bears its look. It is trendier and way more advanced in techno terms. I am truly having an Apple fever so let me go and grab it before it’s too late. Have a look at the Apple Air Mock-up guys!